Intentional teacher collaboration creates a strong professional culture and spreads good ideas room to room. Teacher collaboration at Wildwood helps to diffuse conflicting adult dynamics, fosters a collaborative culture that puts the students' learning first, and turns a teacher's best practice into a schoolwide best practice. Teachers share work products on a common drive. Teacher preparation time is aligned by grade level, creating grade-level teams. Protocols and agendas are set up to help conflicting personalities learn to appreciate each other and work well together. "So often we hold all the good things we do to ourselves because it becomes kind of a like a competition," says fourth-grade teacher Karl Wiedegreen. "We should be helping each other, and stop holding in all the things that we do great, and share it with others so that they can make those same gains within their classroom." By sharing work products on Google Drive, Wildwood teachers know what their colleagues outside of their collaboration group are doing. They also know how they're doing it. This enables them to replicate and/or get ideas from each other. 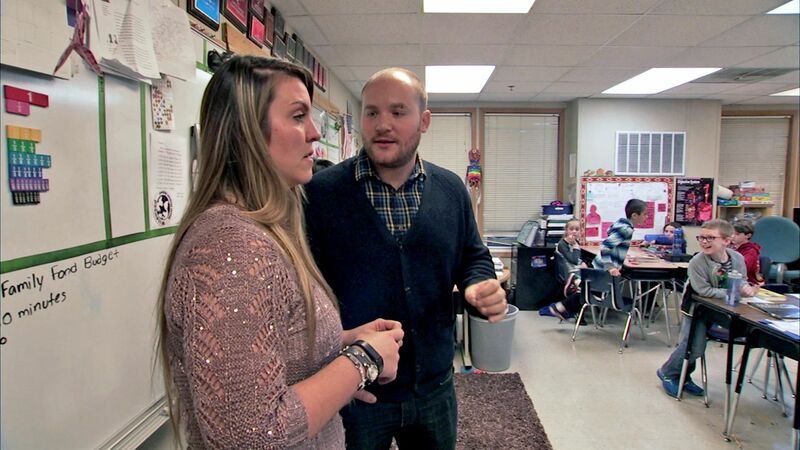 "Teacher collaboration at Wildwood is really intentional," says fourth-grade teacher Karl Wiedegreen. "It's intentional with the common preps we have. We have grade-level meetings. We have opportunities when we want to come in the morning to work together, stay in the afternoon and work together." Making time for that collaboration is often a burden that falls to the school's leadership. Mary Beth Cunat, Wildwood's principal, plays a large role in scheduling time for teachers. "A principal must do what it takes to remove the obstacle of 'too much to do' and 'not enough time,'" says Cunat. Leveraging the master schedule to ensure common preparation time between her teachers is one way that Cunat helps make collaboration work for them. "When we have our preps," says Wiedegreen, "they're aligned to each other so that those grade-level teams can meet and work together on anything that we're doing in our units. We can look together and say, 'OK, what are we working on? What are we doing? Are we in the same area? Are we at the same pace?'" "When teachers are able to collaborate and have planning time during the day, especially built into the schedule, you have somebody there, a partner that has your back and will be there --because teaching is quite difficult," says fourth-grade teacher Georgia Melidis. "It's very involved. We wear many hats, and you need somebody there that really understands you, and supports you, and is there sometimes to vent to, or to ask to help problem solve." She provides a substitute teacher for half days once per quarter to ensure collaborative work. She provides extra time for peer-to-peer observation. She offers to create an agenda for teacher preparation once per week. She encourages her teachers to attend conferences, school site visits, and professional development together. She invites her teams to share out at school-wide staff meetings. She encourages all staff to leave their doors open, fostering a transparent, collaborative environment. "One of the biggest challenges of any school is when people go into their rooms and close their doors," says Cunat. "That's the way teaching used to be, right? So you have to begin making it not OK to close your door." Cunat pairs teachers by their grade, content, and strengths. When she paired Wiedegreen with Melidis, she looked not only at their teaching strengths, but also at how their personalities would complement each other. "We are very different people," says Melidis about Wiedegreen. "Now when I look back, I see that that really works to our benefit because he is the more social one, and he has the energy of aliveness. I have more of the workability energy where we just work so perfectly as a team." Once teachers begin experiencing success as a team, they start feeling connected to each other, expanding collaboration outside of their meetings and transforming the school culture. "New teachers are oriented to it," says Cunat. "And anyone who might prefer not to still has to show up and offer their best thinking -- it is expected and unheard of to do otherwise. Once the teachers convey that, the move from a culture of compliance to a culture of commitment has started." Wiedegreen and Melidis weren't looking forward to working with each other at first. "The truth is that we didn't really like each other," says Wiedegreen. "We really did not get along," agrees Melidis. When Cunat's teachers run into issues with colliding personalities, she recommends using protocols and agendas in collaborative meetings to help overcome those challenges. "Protocols set the expectation that this is about the work, not about the personalities involved," she explains. "Building success through a protocol begins to help others see the value of a colleague's contribution. For instance, an inquiry protocol about a student work sample and the kind of thinking that had to have occurred to make it focused on students, not adult dynamics. This is always a win because teachers walk out of a meeting knowing they have done something right by kids." Protocols and agendas not only keep the focus on the students' work rather than the teachers' personalities, but they also assure that everyone is on point during their collaboration time. They foster efficient and productive collaboration, and they help collaborators see their colleagues' value. "We discussed that working together will create an easier experience for us in the long run," says Wiedegreen, "and it has because everything we do, we do together. Two minds are greater than one. I learn from her; she learns from me." Through building trust, appreciation, and partnership, teachers cease to view their collaboration as a hindrance. Instead, it becomes an essential source of support, and the reflection, planning, and shared practices benefit the students. "When she put us together, it was hard at first," admits Melidis, "but when we were able to sit down and get to know each other and plan our lessons, we started appreciating each other and our differences. And we really worked on our strengths, put them together. And now, I can't teach without him, it seems like, because we sit down and plan together after school, before school, and any time we have a break during the day." A typical planning session between Melidis and Wiedegreen starts with preparing their lesson for the following day by supplementing the materials together, strategizing how they'll teach, and asking each other how they think their kids will respond to the lesson. As collaborative teammates, Melidis and Wiedegreen can bounce ideas off each other and problem solve together. "When teachers plan, it really positively impacts the students," says Melidis, "and this is because the teachers are prepared, they have problem solved already, and they're reflecting on all their lessons together." "We've created this type of relationship," Wiedegreen reflects, "where it's OK to come in and say, 'What are you doing on journal prompts? I need to know right now and take it.' Or, 'What are you doing in the afternoon for math? I know that we're working in fractions, but do you have anything that you're going to do besides what's being asked inside the curriculum?' Or, 'Hey, I know we're reading this novel. Are you starting to introduce the characters? Are you having them look at it before we read, or are you looking at it when you're reading?' . . . So when we have a partner to work with and to collaborate with, it makes it so much easier. My job is really easy when I have someone to help me burden the load, help me when I'm in need of support, and be there so I can actually support her, too. It makes our job way easier, and we actually have a great relationship that way." Understand that your colleagues are human with their own issues and lives. Share your ideas instead of keeping them to yourself. "By sharing things that you do really well, it's going to give every school -- every student in that school -- an opportunity to thrive and to learn great things," says Wiedegreen. "So instead of saying, 'Wow, that's really weird, and I would never do that, and your class is crazy,' think and ask them why they do these things, and what are the benefits. Start to realize maybe they're crazy because they're all talking together, they're all learning together, and start to see the great things that we're all doing at the school." What if your principal doesn't schedule collaborative time? What if you don't have a principal to create your agenda? How do you create collaborative teams if you come from a small school with one or two teachers per grade? How do you create a culture where asking for help is OK? For more ideas on making teacher collaboration work at your school, visit "Making the Most Out of Teacher Collaboration." Explore and delve into the rich discussion in the comments.